Sasha Della Von Macy is lovingly known as Macy. She is a very loving dog, who is great with children, but don't let that fool you she is very protective of her territory and her family. She seems a big shy at first but she is sizing you up. Macy runs like a gazelle and is a beautiful animal. See her Pedigree here. Stoltz Ulrich Von Brown is a large build sable who is highly intelligent, loyal, protective, and eager to please. Stoltz is a Service Dog who loves to work. 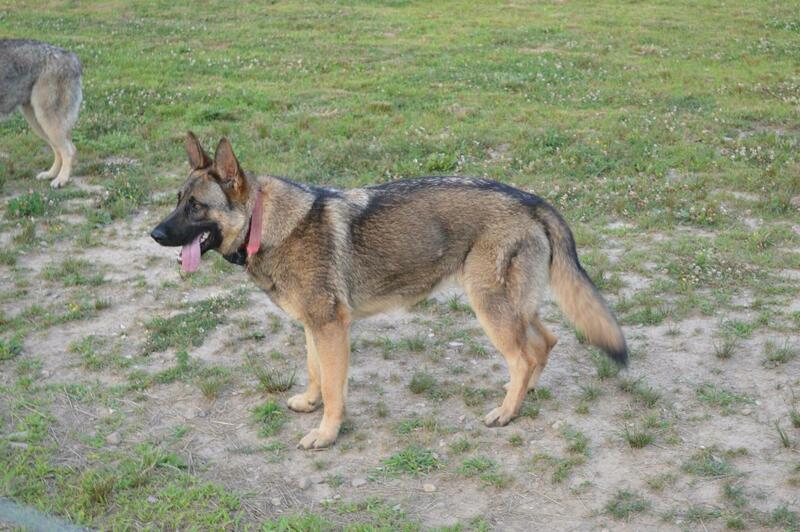 His lineage includes Police K-9, a nitrate dog, many SCHH -3 and IPO-3 dogs. See his Pedigree here.